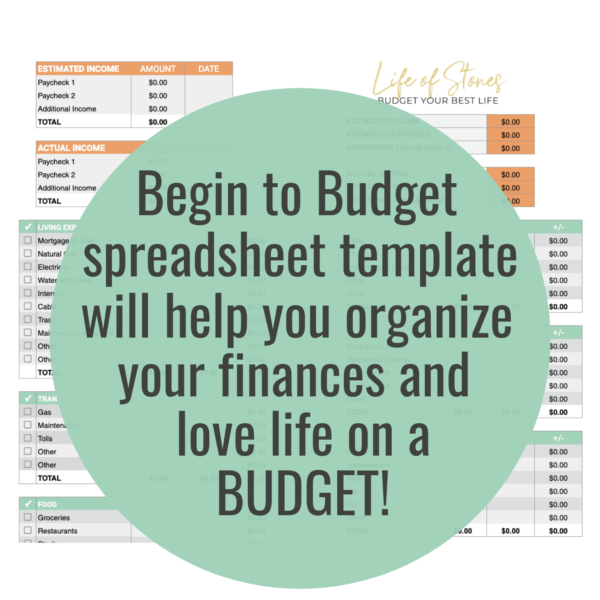 Feeling like there is never enough money left at the end of the month? 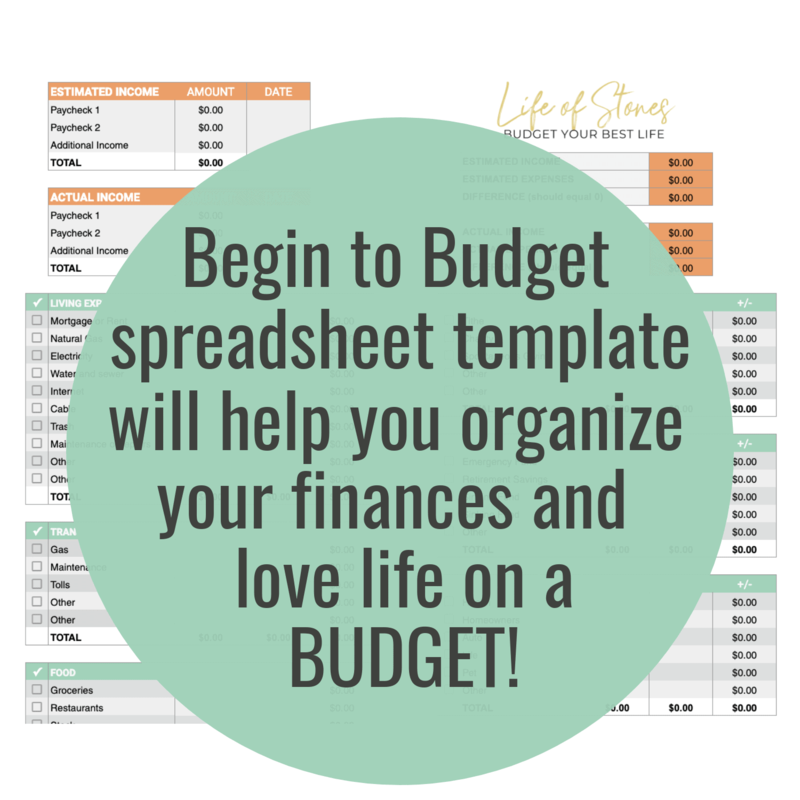 Then you need a budget spreadsheet! 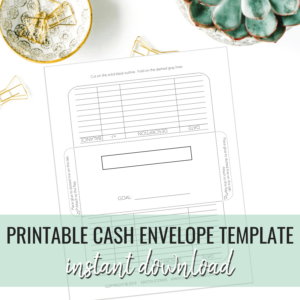 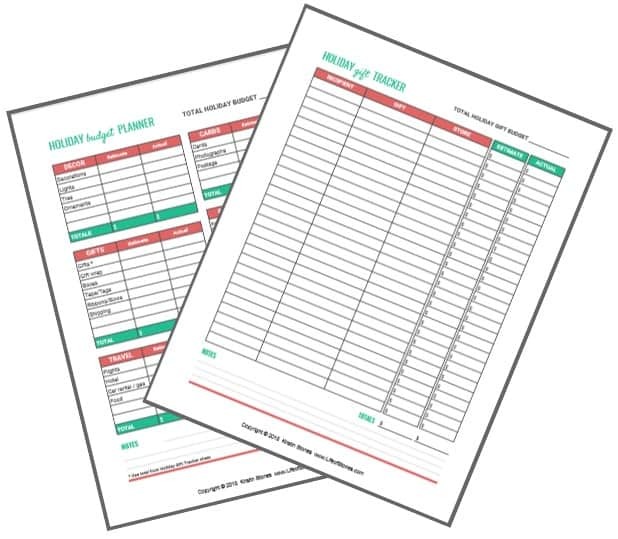 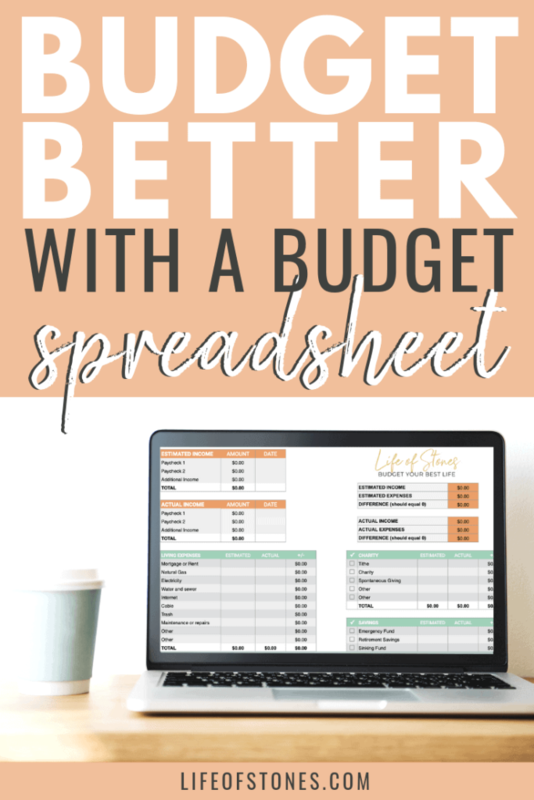 If you’re not a paper and pen person that you need a budget spreadsheet! 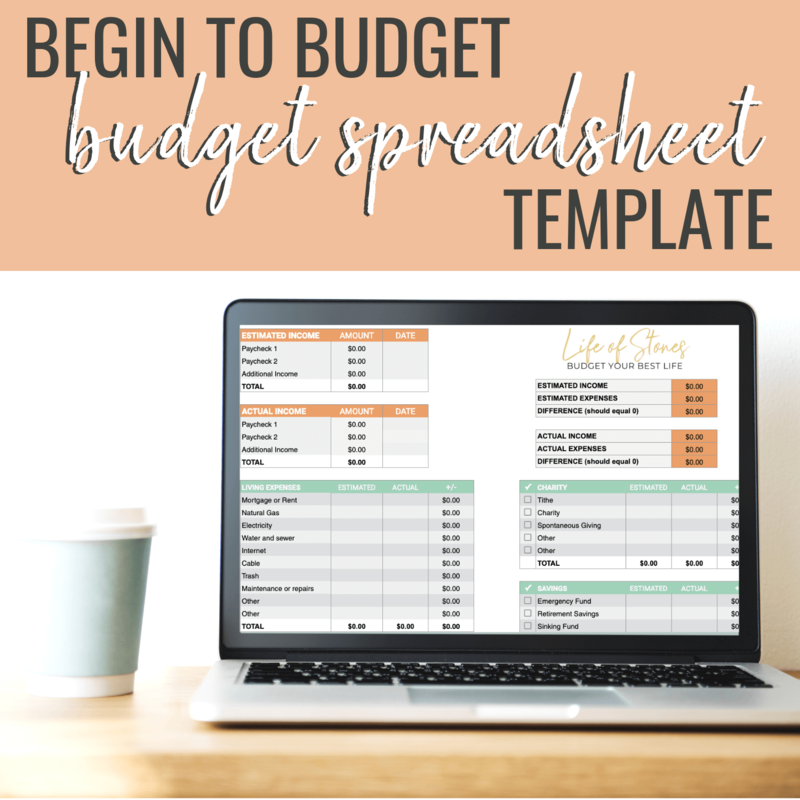 The Begin to Budget Spreadsheet Template is based on the same budget spreadsheet we used while paying off $55,000 of debt in under 2 years! 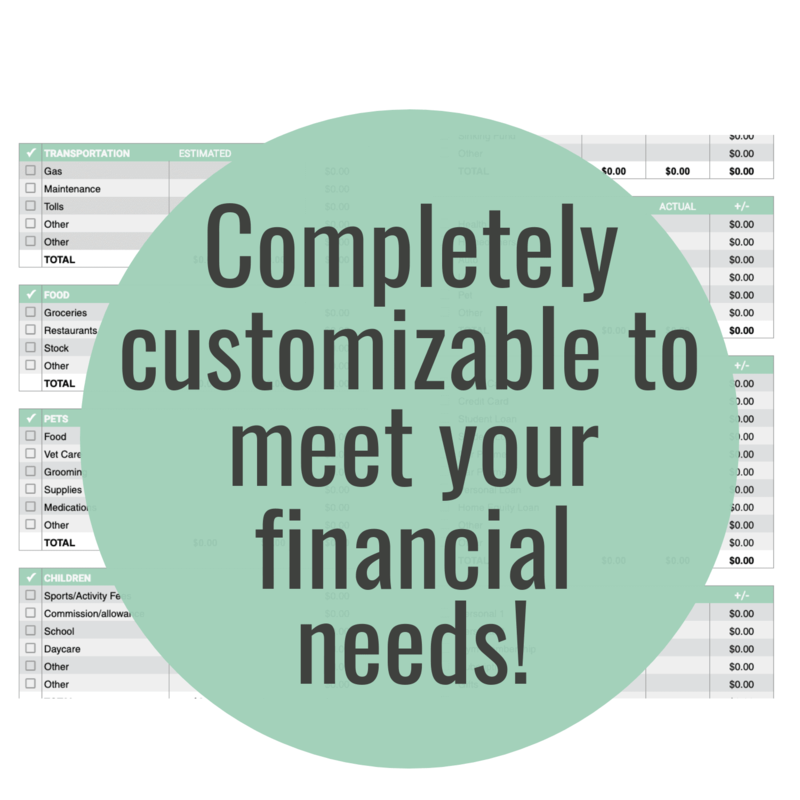 Once you purchase this spreadsheet, it’s yours forever! 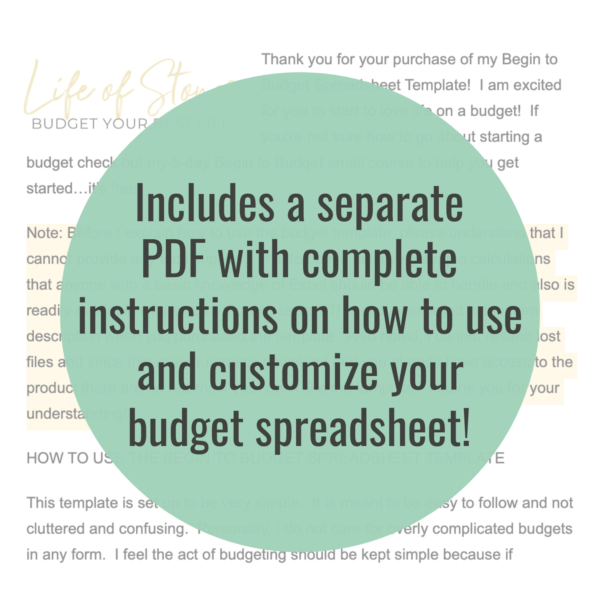 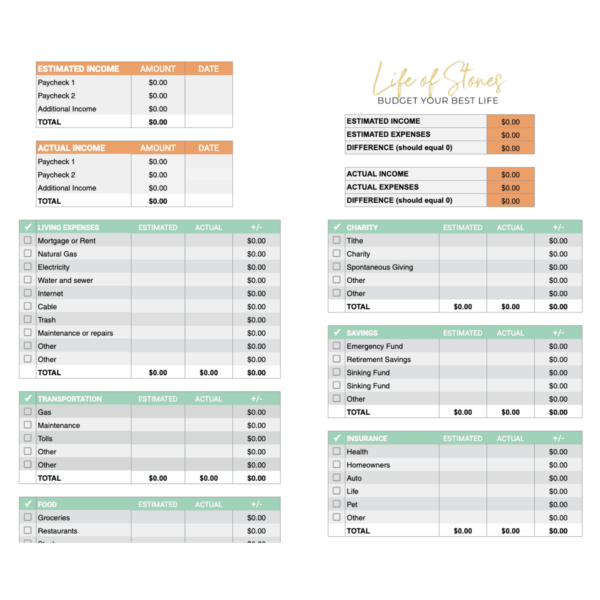 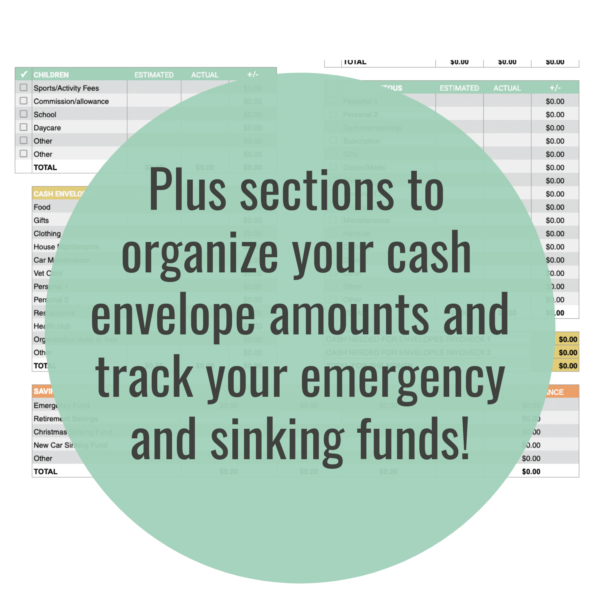 The spreadsheet will help you learn to create a budget that WORKS month after month to help you get a better handle on your finances and can be completely customized to your budgeting needs!